Alex Ellenberger in the Seychelles. When Andrés Ramírez first arrived in the Seychelles earlier this year, he was stopped at customs by an immigration officer who wanted to know why, exactly, he was visiting the tiny island nation a thousand miles off the coast of eastern Africa. “I’m here to do a little research on architecture,” the design curator said, brandishing a letter from local architect Alex Ellenberger, with whom he was collaborating on the country’s first-ever presentation for the Venice Architecture Biennale (on view through Nov. 27). The official examined the letter and smiled. Yet get there they did, and with style to spare. Situated on an upper floor of Venice’s Palazzo Michiel, with a fine balcony view over the Grand Canal, the Seychelles’s inaugural pavilion takes a fairly straightforward look at a practice and a place that are anything but straightforward. Add.Locus’s projects have included private homes, hotels, banks, even ATMs, and their Venice installation tries to bring it all together in a series of picture postcards arranged into a colorful collage, with the buildings featured alongside images of the country’s natural and human wonders. There’s also a wall of photos and a video of selected projects. 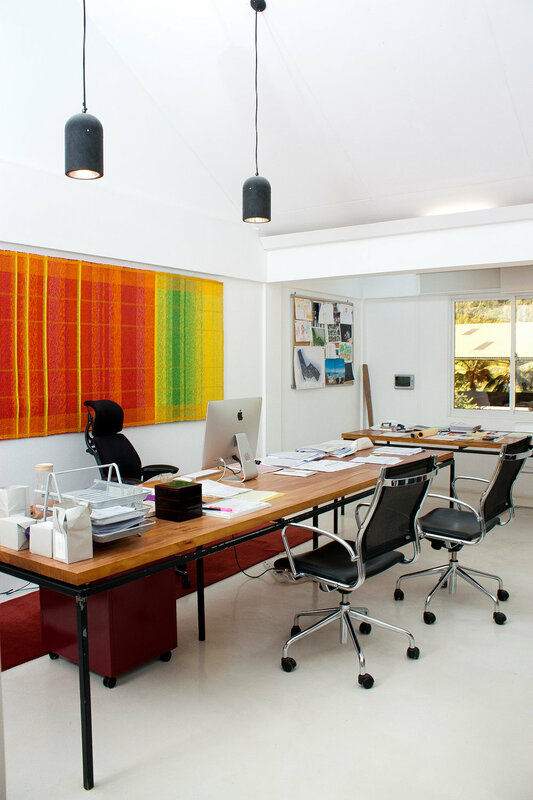 Not beholden to any particular style, the work on display swings from colonial-style cottages to rustically modernist country homes, putting the spotlight on the firm’s capacity for flexibility—a necessity, given the conditions of their island home. As Ellenberger puts it, “We can’t specialize.” With so few architecture firms around, Add.Locus has to do everything, and it does. 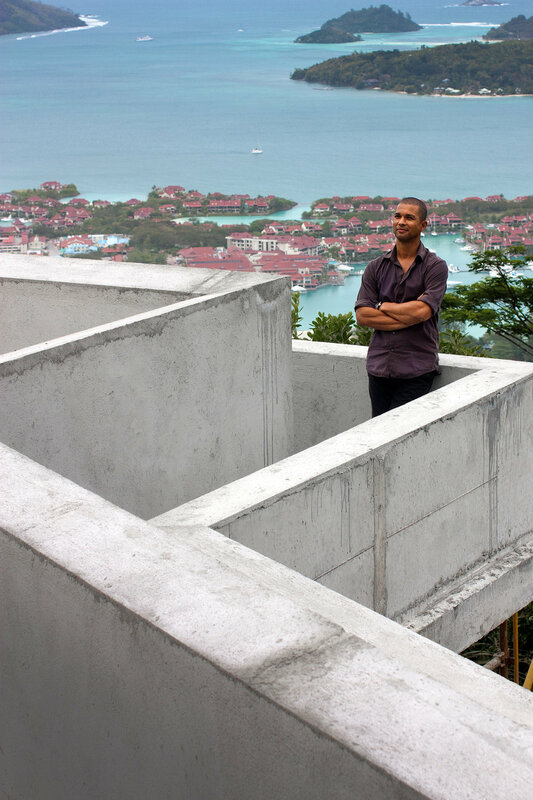 Such resourcefulness is natural for Ellenberger, a native Seychellois who returned to his home country after training in Manchester, England, and at London’s Architectural Association. Also on hand in Venice was one of his partners at Add.Locus, Shuchita Bihani, who was raised and educated in India and is just one of a multinational group of collaborators who have moved to the Seychelles to join the firm, partly out of a sheer sense of adventure. “I was living in Sri Lanka, and somebody was telling me about the Seychelles,” she recalls. “Next thing I knew, there I was.” The success of the studio’s pavilion suggests she didn’t go all that way for nothing—and if Add.Locus can make it from an island in the Indian Ocean to one in the Adriatic, there’s no telling how far they’ll go.